Bring a large pot of lightly salted water to a boil. Add pasta and cook for 8 to 10 minutes or until al dente; drain. Drain artichoke hearts, reserving liquid. 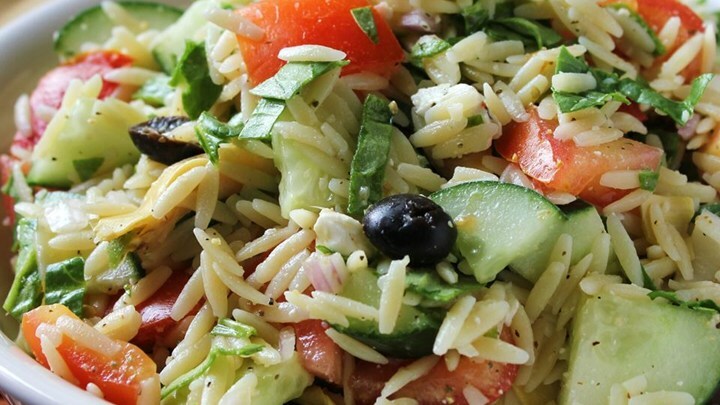 In large bowl combine pasta, artichoke hearts, tomato, cucumber, onion, feta, olives, parsley, lemon juice, oregano and lemon pepper. Toss and chill for 1 hour in refrigerator. Just before serving, drizzle reserved artichoke marinade over salad. © 2015 All Rights Reserved. MEDILIFE "Mediterranean Food" .